Singapore has become quite artsy these few years, if you look around, it really has! 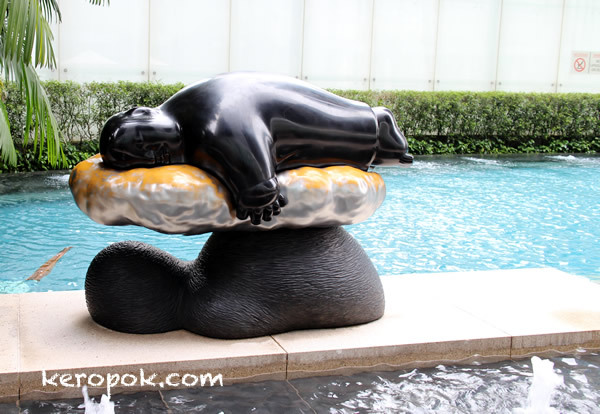 Do you know that the St Regis Singapore hotel is like a Art Museum by itself? By the pool you can see this and a few other Fernando Botero sculptures. I heard the rooms are the same too. You can sleep in the room that has quite an expensive art piece!